Congratulations to our October Member of the Month, Geoff Perkins! Geoff has been with CF HCC for over a year now and if some of you have never seen him it’s because he’s our most consistent 6 AM member! Geoff shows up to every 6 AM class motivated and ready to work. 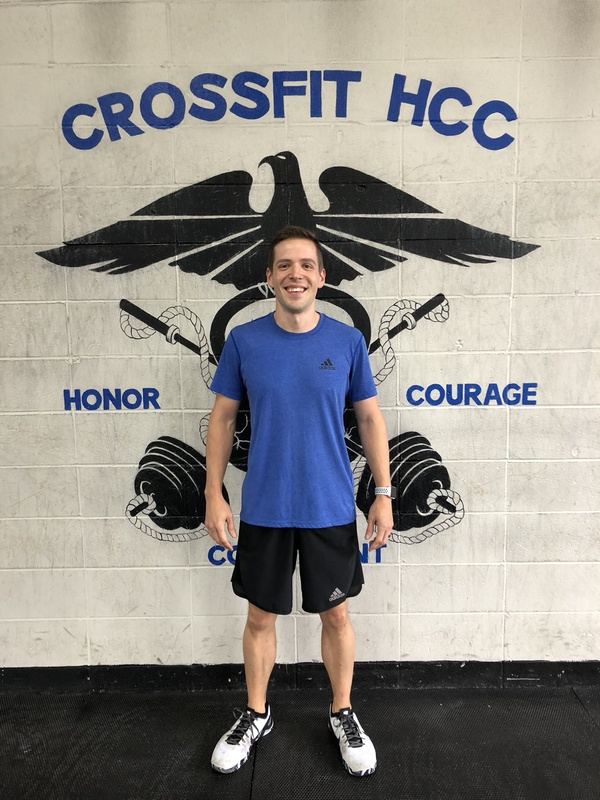 As an avid runner, Geoff’s endurance was already through the roof but now he’s added weightlifting into his routine and his strength continues to improve everyday! After Geoff joined, the whole family started and we love having visits from his two daughters when school isn’t in session! Geoff’s dedication and hard work is something everyone can look up too. If you want a little push during a workout, come down during 6 AM class for some motivation! Why do you do CrossFit? I started CrossFit a little over a year ago because I was looking to change up my workouts. Before that I was basically just running. I’ve done one marathon and a couple half marathons, but it was becoming stale and I wasn’t feeling motivated to exercise. I had some friends who did CrossFit and decided to give it a try. By the end of the first week, I was hooked. All the different movements and workouts keep it challenging and fun. I remember someone asking me if it gets easier – my answer was not really, you’re just able to go faster and use heavier weights. 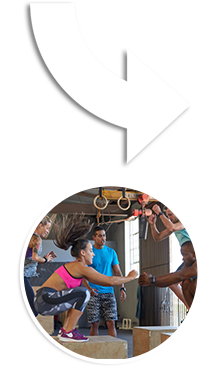 Favorite Move: Box jumps (even burpees over the box) or any workout with running in it. 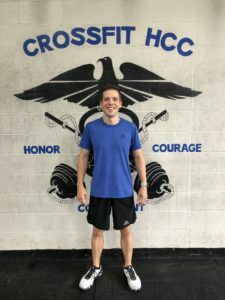 What makes you stay at CrossFit HCC? The coaches, the community (especially the diehard 6am crew), and the variety of workouts. Future Goals: Double unders! I could barely jump rope when I started, so getting double unders is definitely on my list of goals, along with handstand push-ups. Advice for newbies? Don’t compare yourself to anyone else when you start, just measure yourself against your prior results and watch the progress. And keep showing up! I was so sore after the first workout that I wasn’t sure if CrossFit was what I was looking for. But I came back for a second day, and a third day and haven’t looked back since. And in fairness the first workout I did included handstand push-ups, toes to bar, and deadlifts – don’t be afraid to scale when you start! Tell us a fun fact or something you do outside of CrossFit? If I’m not at the gym or work, you can probably find me at the pool watching my two girls who are both on the swim team. Words from Geoff: I can honestly say that after the last year I’m in the best shape I’ve ever been in. Maybe just as important is the fact that I look forward to working out in a way I don’t think I ever did before. I can’t recommend HCC enough, especially the 6am class – there’s nothing better than starting the day with a good workout. Thanks Matt, Courtney, Paul, and all the coaches at HCC!